Summer is not meant to be experienced from inside the four walls of your own home! 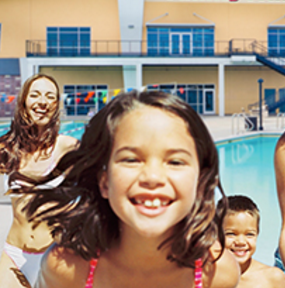 Get out and live up all that Sacramento has to offer by going to a sporting event, being a tourist in your own city, or by staying cool at a water park! Here are our top six things to do to make this summer jam-packed full of fun and epically good times. There’s nothing more classic-summer-to-do than going to a baseball game! Head down to Raley Field for a River Cats minor league baseball game with friends and family! Grab a few healthy bites and sit and watch these major league hopefuls play hard! California Family Fitness is a proud sponsor of the River Cats. Be on the lookout for our annual summer ticket giveaway and you could win some great tix and prizes. On days when the summer heat goes anywhere but down, take the kids out for an afternoon at the Cal Fit Spray Gardens. Cooling off in the waterpark playgrounds will allow the kids to use up some of that active energy. Parents can play, too, by taking a walk of their own through the refreshing and colorful sprinklers. Take a little time to learn something new with an underground tour of Old Sacramento from the Sacramento History Museum. Learn about how Sacramento nearly got lost in the floods of the 1860s and 1870s. This half-mile guided tour is one hour long, rain or shine. Call to hear more about their Gold Rush and ghost tours too! When was the last time you went to a drive-in movie theater? Nowadays, heading to the movie theater is expensive, overcrowded, and can lack the enthusiasm of a true film experience. The West Wind all digital drive-in plays a mixture of movies between today’s X-men films and yesterday’s black and white films. Rather than enjoy a movie from an over air-conditioned indoor theater this summer, go to the drive-in instead! Sacramento wasn’t nicknamed River City for nothing! Chillax by floating on the American River from River Road to River Bend Park, or even on the Truckee River from Tahoe City to the River Rock Inn. Put your sunscreen on, grab your waterproof gear, and either bring your own raft or rent one at the site! Get the best of both worlds: a little sun, and cool off with a dip of your toes! 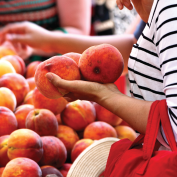 On a hot morning or afternoon, cruise by one of the local farmers’ markets for healthy fruits, vegetables, nuts, and lean meats to make for a delectable set of meals and snacks. Kids can help by picking out their favorite items which will also help them be more inclined to eat healthy! And what better incentive for you to exercise and eat right as well! Get creative with your summer plans and turn your city into an adventurous staycation! After all, what is summer for?